Our latex coir mats are premium quality with a latex backing and the coir has been mechanically twisted for less shedding. They’re made from 100% natural coir (renewable resources; coir fibre, jute and natural latex). The rubber latex backing reduces the risk of slipping and helps the mat stay flat to the floor with no curling. The coconut hair (natural coir) offers fantastic scraping qualities for muddy shoes and boots and absorbs water well, meaning your floors stay cleaner for longer. The doormat is suitable for all weathers, all year round and mainly used outdoors but can be used indoors too. 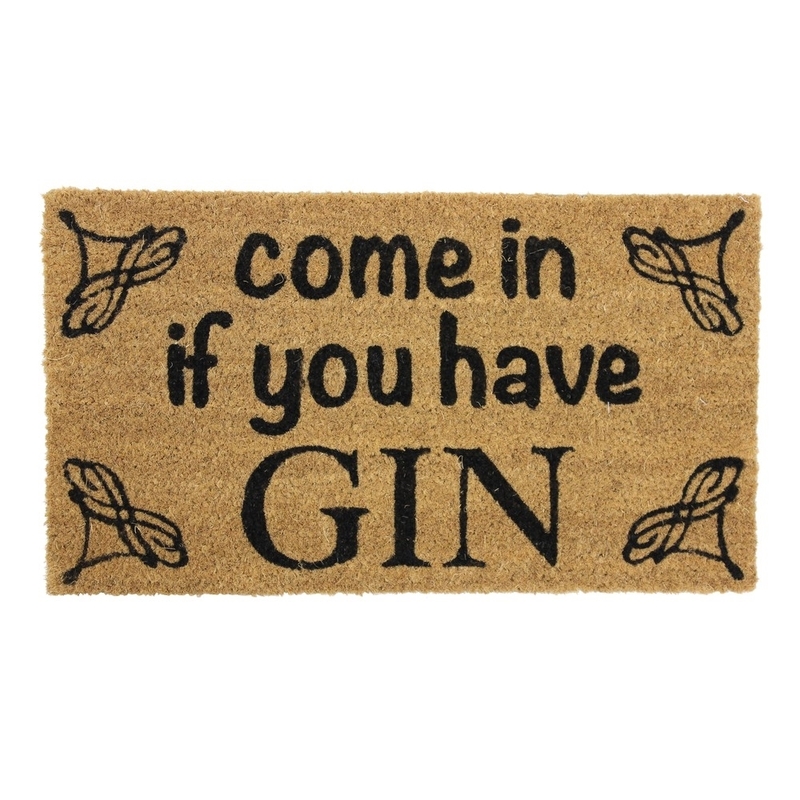 The novelty slogan 'Come in if you have Gin' lifts the mat and welcomes your guests, it can be used at the door, porch, greenhouse, shed, conservatory, patios or anywhere you want. The doormat is 100% biodegradable so when you’ve finished with the mat and its sent to landfill the natural coir will disintegrate with one year and the latex compound will disintegrate within five years, subject to soil conditions. The packaging and kimbles are recyclable too. Size: L:60 x W:33.5cm approx.